Bright Letters and Polite Touches! 11 Tips in Bright Letters and Polite Touches! The bright letters and polite touches in this network, starting from this page, show you how to write letters that motivate and influence other people who read your letters and attract more readers. They show you also how to build personal and business relations with your readers. The bright letters could be love letters, letters that appear through your poetry or prose and they could be business letters, as well, as you read through the Ezine Acts Business. The goal implies using elegancy and empathy to get to the hearts of your readers through polite touches. 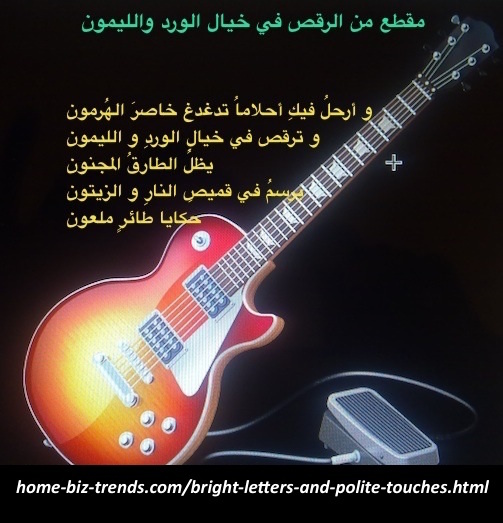 home-biz-trends.com - Bright Letters and Polite touches in Arabic Poetry to Sing By Journalist, Writer and Poet Khalid Osman. A Couplet from Rising of the Phoenix. The most ever said bright letters, with the polite touches included in Arabic poetry by Khalid Osman with a couplet designed in image. Contact Us to translate this poetry book together. If you are a home based business owner, those letters show you how to avoid using more than 3 keywords, when you write your bright letters to attract more polite touches. 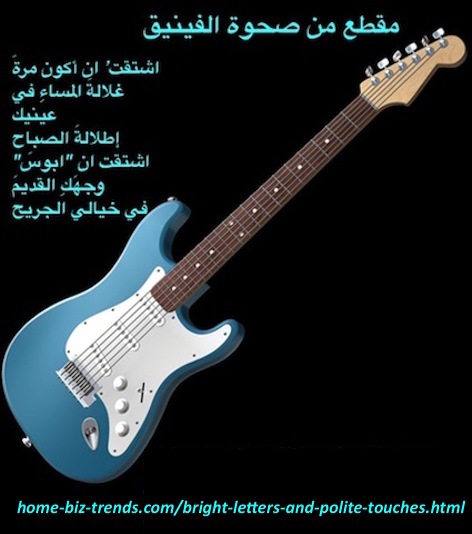 They show you how to build web pages, whether you write and build using Latin languages, or you write Arabic Webpages. There is only one way that could attract your potential readers to read you and then have the pleasure to build relations with you. Personal relations become through that way business relations in the long run. That way is to write letters that shine to light the way for others and help them know something more, do something better, amuse themselves while reading your letters, entertain, feel the pleasure of doing something and feel also confident of your sincere efforts to help them. Writers need this relation to get readers. When they get readers, they sell what they write. No one writes for nothing. If you are writing for nothing close these bright letters and polite touches and good luck. But, if you were a business minded person and you are interested in making your letters brighten keep on reading the page and follow the other relevant links to know more. While editing and publishing the right way you could make sense, as it is necessary, the bright letters are important on those pages you write continuously to get your message through to more readers. 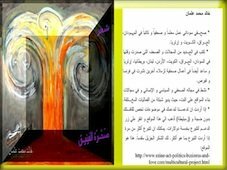 home-biz-trends.com - Bright Letters and Polite touches in Arabic Poetry by Poet and Journalist Khalid Mohammed Osman. A Couplet from Dancing in the Fancy of Roses and Lemon. Bright letters and polite touches included in a surrealistic Arabic poetry from within the descriptive and adjective Arabic terms. The simile and the metaphor are also clear. You want readers to be read. If you cannot write bright letters with polite touches, you will never get the attention of any reader. Now how to write those letters and how to make them brighter to get your polite touches to the others? It is simple to write bright letters and throw some polite touches within your letters. Write articles, other literary scripts, or poetry, whether you write essays, or Arabic pomes, or poems in other languages on one topic per article, script, or poem. Study your topic, even if you know it in out. You need to make sure of the information you have about that topic and keep it intact and well-focused. You need also to keep your publishing project going strong, steadfastly, as explained at the Ezine Acts Publishing. Search it. Yes, even if you know it and know how to write it, search it thoroughly and read some articles about the same topic on the search result pages. You could find many updates and even news about that topic to keep your topic fluent and current. Don't mix up topics in every script you write. However writing poetry is so different from writing articles. You could find some insights about this on other pages. Get the article writing going this this way. Don't think of big words, or complicated terms when you write. Write simple with a standard language to get the readers to like what you write. Make your sentences short, but to the point to explain the ideas on those lines in plain text and construct them, as you see on Bight Letters and Polite Touches. This will help you get your message through and avoid getting your readers confused. These are polite touches. You don't want to be hard or difficult. home-biz-trends.com - Bright Letters and Polite Touches: Melina Kanakaredes, as Stella Bonasera in CSI NY has Bright Letters and Polite Touches in the TV Series. Melina Kanakaredes, as Stella Bonasera in CSI NY has Bright Letters and Polite Touches in the TV series. Make your paragraphs short too, as short paragraphs contain the ingredients of your overall topic. Each ingredient should concentrate on the idea of that paragraph to make it clear through some explanations. The explanations should not go far, though. You don't want your topic to end on that paragraph. Right? To build these ingredients, you should first think deeply about the topic of your article, as article writing requires. However, articles for business opportunities are so different from other articles that you write about other topics and especially different from literary articles. Read more ideas at the Ezine Acts Business Opportunities. Pick up the right sub-headlines, when you go through the topic of your article. The sub-headlines could have the ingredient of each paragraph. Well, you will actually do this, at the first step when you get the ideas of your article in your mind and when you write the blueprint. Without a blueprint you write nothing. Keep the final idea for the conclusion. You don't want your readers to leave the article from the first paragraphs. Right? So, keep the conclusion away from those paragraphs and write it at the end of your article. Write outstanding signature file. At that end of the article you could encourage your reader to take the action you want her or him to take. If you are writing articles to sources out of your website, close them by your signature file, which should include your signature file and the "take action" call. Think of writing your article following what we call the CTPM Process, which is intended to build solid and well-focused content per topic on theme focused websites, called also narrow niches. This process - although it is about the building and optimization process of websites - is very necessary and is so applicable with article writing. home-biz-trends.com - Bright Letters and Polite Touches: between Anna Belknap (as Lindsaay Monroe Messer) and Carmine Giovinazzo (as Danny Messer) CSI NY. There are Bright Letters and Polite Touches Between Anna Belknap and Carmine Giovinazzo While Working on Many Seasons of the TV series CSI NY. Well, They Got Married. You will write good articles, each on one topic, if you followed the 11 tips above to get each article focused and thus make those bright letters and polite touches better. The bright letters and the polite touches have the writing masters course, which is the web writing mantra to write good articles, whether they are literary articles, business articles, or sentimental articles. 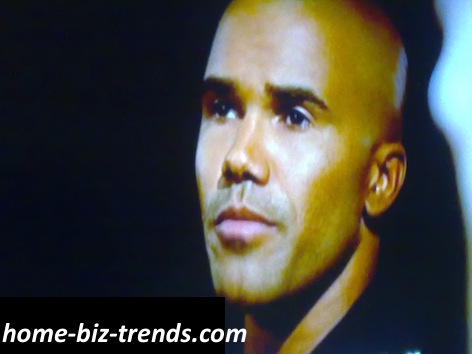 home-biz-trends.com - Shemar Franklin Moore (Derek Morgan) in the TV Series Criminal Minds, Has Some Bright Letters and Polite Touches with Kristen Vangsness (Penelope Garcia). Shemar Franklin Moore (Derek Morgan) in the TV Series Criminal Minds, Has Some Bright Letters and Polite Touches with Kristen Vangsness (Penelope Garcia). Without any twist, the bright letters and polite touches have also great relevancy with the site map (11 A) the Ezine Acts Art Links, with its extension into Ezine Acts Art and Culture (site map 11 B), Ezine Acts Fine Arts (site mao 11 C), French Paintings (site map 11 D), Ezine Acts Literature (site map 11 E) and the Ezine Acts Photo Gallery (site map 11 F). If you found bright letters and polite touches useful, please tweet, like, and share it with your social media services, or pin the pictures on the page. Thank you. Comments on Bright Letters and Polite Touches appear at the Ezine Acts Comment C2 Entries. Other commentaries on businesses appear at the Ezine Acts Comments, Second Section of the Comments and Zines Commentaries.